Find the perfect banjo chords! Are you looking for the perfect chords on your Banjo? 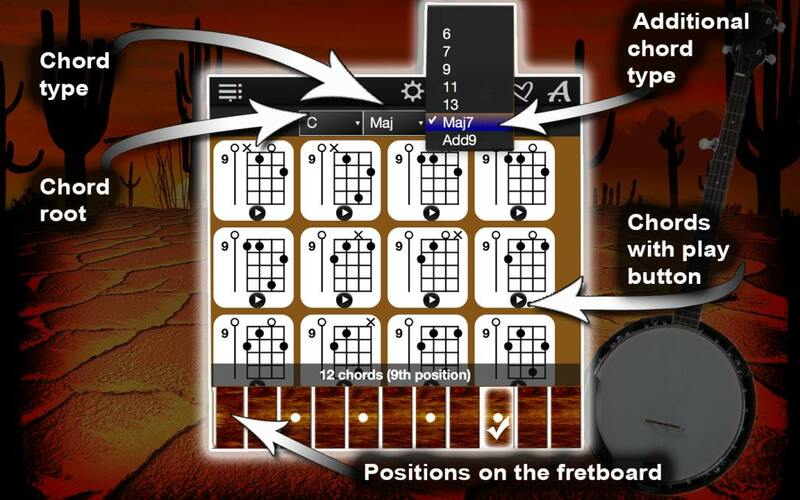 Discover hundreds of chords with the Banjo chord compass for Banjo chords! 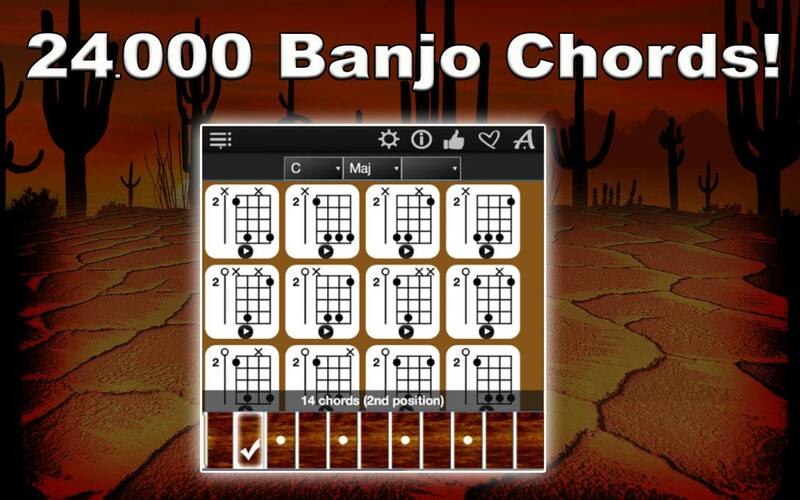 This app can help show you all possible chord options along your virtual banjo fingerboard. 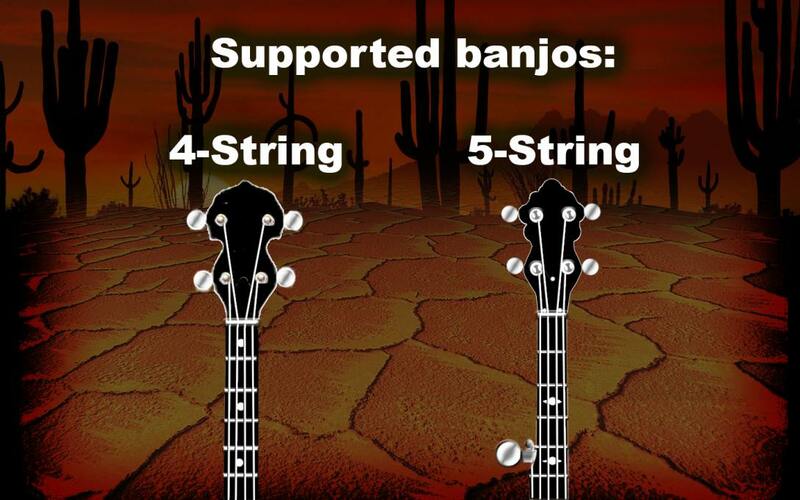 Play any of them with an authentic banjo sound! Learn the chords in your own stride! We have developed the chord diagrams that can show you all possible chord options in all 11 positions on the banjo Fingerboard. We are referring here to hundreds of chords! 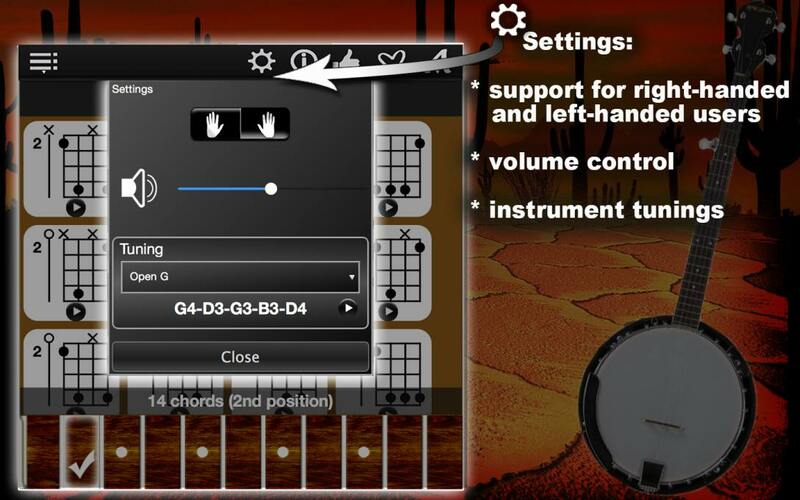 As you select a chord (a key on the left side, a chord type in the middle and an additional on the right-hand side), the App will show you how many chords with this combination are possible and all the available chords. 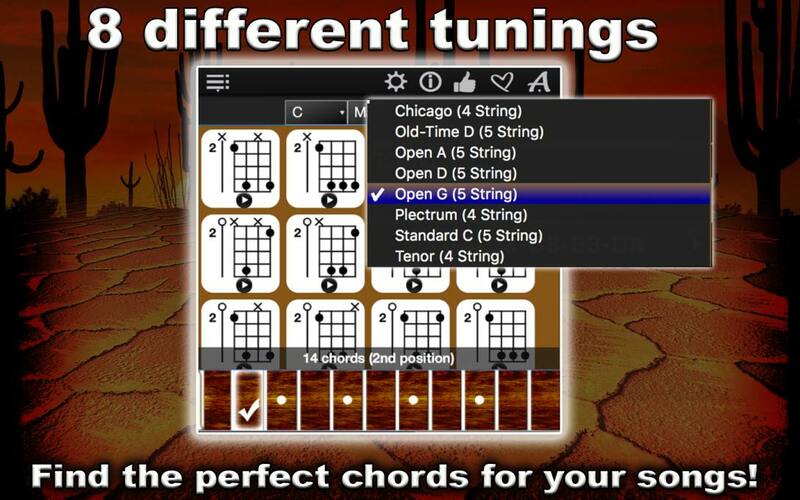 Explore the chords with the app! – it supports right-handed, or left-handed people . 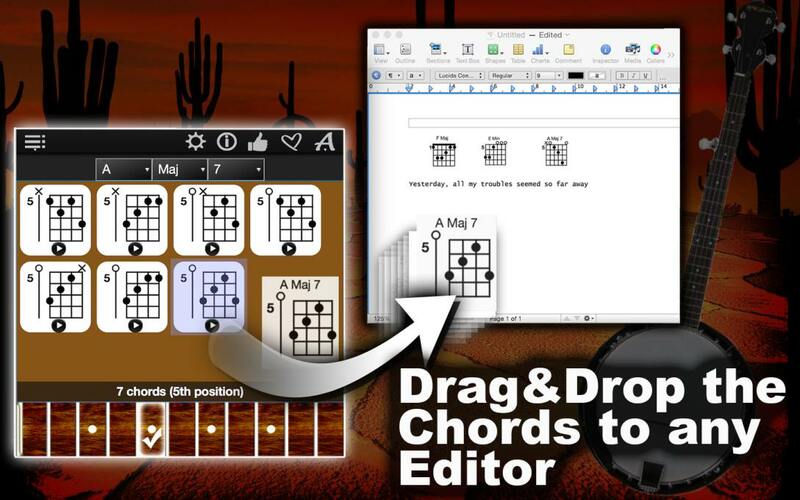 Try our FREE version of Banjo Chords Compass Lite! If you use smart Garage Band instruments, then you will be delighted to know that the banjo chord compass is compatible. Try our free Banjo Chords Compass Lite version!